As a city, Billings prides itself on its unique mixture of western tradition and modern amenities. We’re looking forward to showing you everything our destination has to offer. But first, you have to arrive in Billings! We hope the information below will help you find your way to Montana’s Trailhead. If you have any questions, please feel free to reach out to us here. 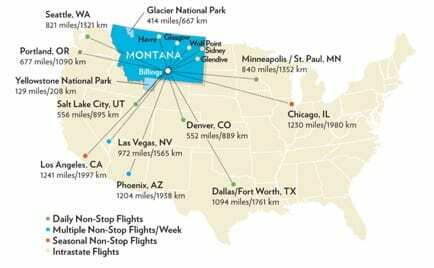 Delta Airlines Discount: Visit Billings has secured a conference discount partnership with Delta Airlines. These discounts may range from 4%-10% (depending on the class fare). Please follow these steps to take advantage of these available discounts. Enter your travel destination and date information. Click the “Advanced Search” button. Use code: NMSY4 in the “Meetings Event Code” box. Situated on the Rimrocks overlooking the city, Billings Logan International Airport is Montana’s largest and busiest airport. The service area includes the western Dakotas, eastern Montana, and northern Wyoming. Scheduled passenger airline service is provided by Allegiant, Alaska Airlines, Delta, Cape Air, United, and American Airlines. See the Billings Air Service Map below for more information. Stay tuned for exciting discount air info from Delta airlines coming soon! Note – All partner hotels for the event provide free airport shuttle service, check out the hotels here. 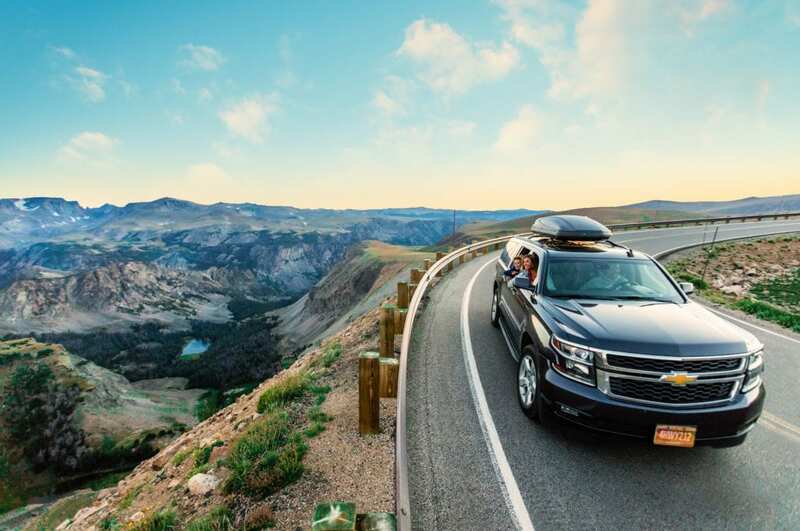 Rent a car and experience Montana your way. Here are just a few scenic routes to explore on your way into Billings, Montana’s Trailhead (check out the Regional Drive Map below for more details). 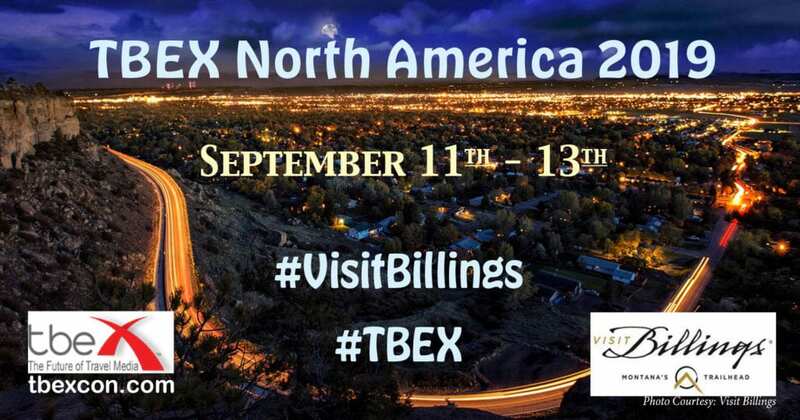 For additional information on transportation to TBEX North America 2019 in Billings, MT, please visit the Visit Billings website.